When I determined to get a complete Beatles collection at the age of eleven in 1973, it was hard to even find non-LP B-sides by the Beatles. So to those of us who came of record-collecting age in the 1970s and 1980s, it’s a shock to be able to hear virtually anything these days at little or minimal expense, whether on physical reissues or online. We can debate whether listening to MP3s or through computer speakers devalues the experience (or whether some of the online means of delivery are even legal). But the fact is that there’s not much music I want to hear that I can’t immediately hear, whether in my (admittedly large) collection or by another means. The same isn’t yet true for books about rock history, however. Yes, you can get the overwhelming majority of the ones you want at affordable, reasonable, or no cost through the library, bookstores, and online, whether they’re in print or out of print. There are a few books, however, I want to read and haven’t, and quite possibly never will. That’s because they’re ridiculously expensive limited-edition copies, and/or literally quite hard to find even if you’re willing to pay three or four figures, in part because few copies were printed. Maybe within a few years or even a few months of this posting, technology will have changed so that the pages of these rarities will be easily accessible via online or electronic means, legally or otherwise. But at the time I write this in August 2015, the books are either way beyond my (and most rock fans’) budget, or not immediately obtainable at all. So in a novel best-of list of sorts, here are reviews of books I haven’t read, but would most like to read if they became reasonably affordable or available. 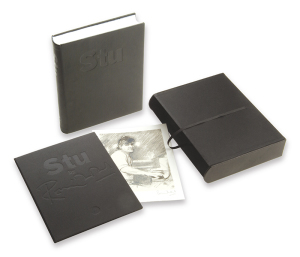 The volume that started me even mulling this whole issue over a few weeks ago is simply called Stu, a limited-edition book about the “sixth Stone,” auxiliary Rolling Stones keyboardist/road manager Ian Stewart. Some of these kinds of productions (a few of which will be listed in this post) are much more photos than text, something that doesn’t excite me too much. 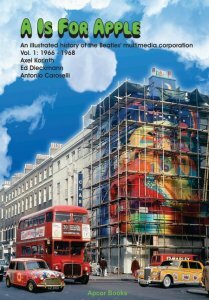 This, however, looks quite substantial: 432 pages, 85,000 words, lots of rare photos/illustrations, and written tributes by Mick Jagger, Keith Richards, Charlie Watts, and Ronnie Wood, among others. A not-so-revealing glimpse at the packing for “Stu,” a book about Ian Stewart, longtime keyboardist/road manager for (and original member of) the Rolling Stones. You can look at a few pages, and even read some of the text if your screen is large and you squint really hard, at http://www.out-take.com/stu-book/. Can you buy it? It doesn’t look like it; it was limited to a run of just 950 copies and only available direct from the publisher, Out-Take Limited, according to its website. That slow-loading site doesn’t list a price anywhere, though when it came out in 2004, it was according to one report selling for about $1000 apiece. And 2004 is how long ago it came out. It’s a testimony to its exclusivity that I, a big Stones fan who has taught courses about them, was not even aware of its existence until it was cited in a footnote in Taschen’s recent coffee table book of Stones photos (itself a hefty production, bearing a $150 list price). Another book I wasn’t even aware of until this year was Bobby Fuller Four: Rock’n’Roll Mustangs. I’m a big Fuller fan—I wrote a chapter on him in my book Urban Spacemen & Wayfaring Strangers: Overlooked Innovators & Eccentric Visionaries of ‘60s Rock. And his life was interesting, not least because of his mysterious July 1966 death (ruled a suicide, though most fans believe he was murdered). 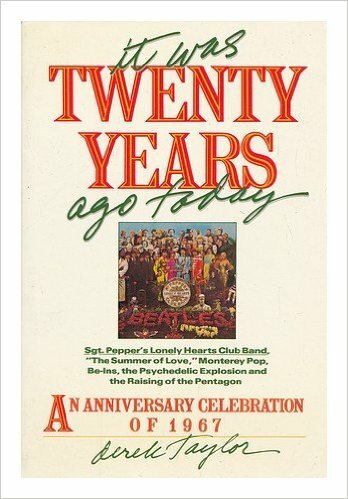 It came out in 2009, but it’s sold out, according to the website of the publisher, CMusic Books. 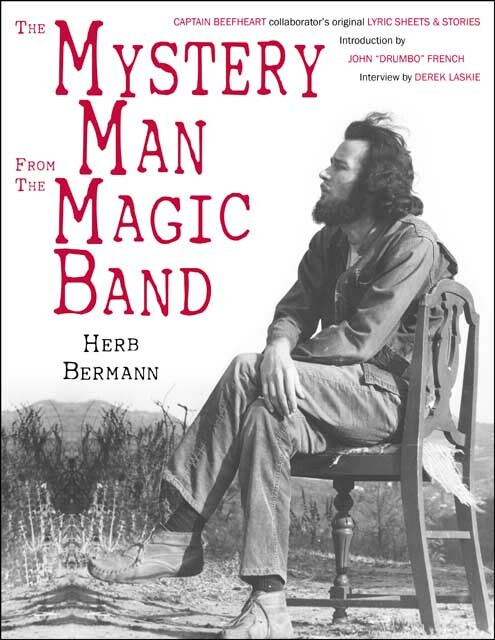 CMusic is essentially an outlet for limited-edition books by Australia-based rock historian Stephen J. McParland, who’s issued numerous books on Californian rock of the 1960s, most but not all of them surf music-related. 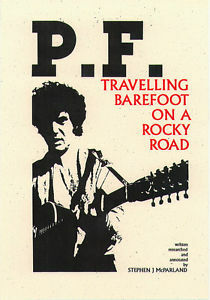 I have one, the 2000 volume P.F.—Travelling Barefoot on a Rocky Road: The Musical Biography of P.F. Sloan. 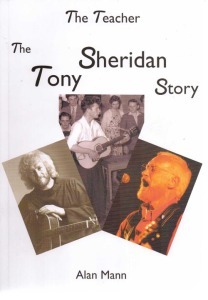 And it’s very good, with 275 pages of fine detail about the enigmatic singer-songwriter’s career that has a lot of the same hard-to-believe stories as Sloan’s recent memoir, but are here used within a biography (if often via Sloan interview quotes), not told as a first-person account. It was quite expensive (26 pounds in a London bookshop, the only time I saw it), and is also long out of print. So are most of McParland’s books, though they continue to be listed on the CMusic website. It’s no doubt hard to self-publish such niche volumes, but he might want to consider printing them in larger quantities. Or reprinting some of the more popular ones, so hard are they to locate once they’re unavailable from the site. 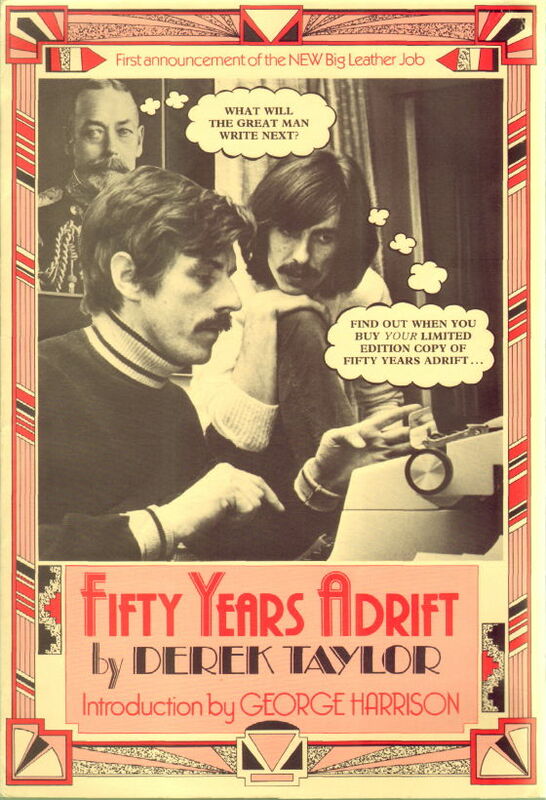 Take note: Derek Taylor’s inexpensive, easily available book It Was Twenty Years Ago Today is *not* the same book as his limited-edition memoir Fifty Years Adrift. Genesis, which specializes in expensive limited editions, has also done a few other Beatles titles, three of which interest me in particular. Now that he’s just passed his 75th birthday, Photograph might be the closest we come to a Ringo Starr memoir. 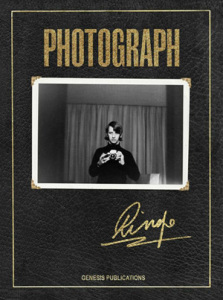 It has more than 250 photos, and text – albeit, in line with a lot of these limited-edition books, more like captions than full-length book prose — by Ringo himself. This is the only Genesis book I’ve actually been able to read a good portion of, as the Rock and Roll Hall of Fame Library & Archives in Cleveland has copies of some Genesis volumes that the public can read on the premises (but not borrow, of course). The run of 2150 copies (with a hefty price of about $600 each) is sold out, but good news reached me just after I put up the first version of this post. Genesis, which infrequently puts out “regular” or “trade” editions of its limited-edition books, will be putting one out for Photograph with a much more affordable list price of $50 in September. 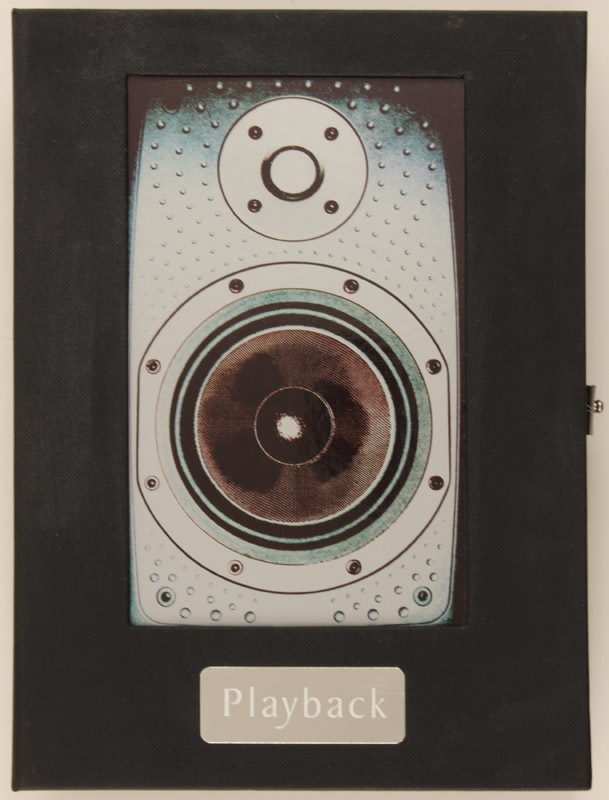 Also on Genesis is George Martin’s 2003 memoir Playback, which at 50,000 words is more like a conventional reading experience, though its 328 pages also feature lots of images. That too is out of print and selling for high sums—almost $5000 on ebay, though for more like $1000 (if possibly not in as good condition) through Amazon. 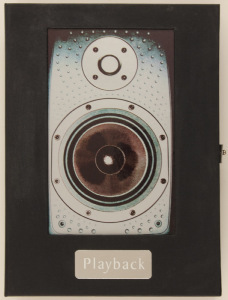 The cover for George Martin’s Playback—proof that expensive books don’t necessarily look all that appetizing. 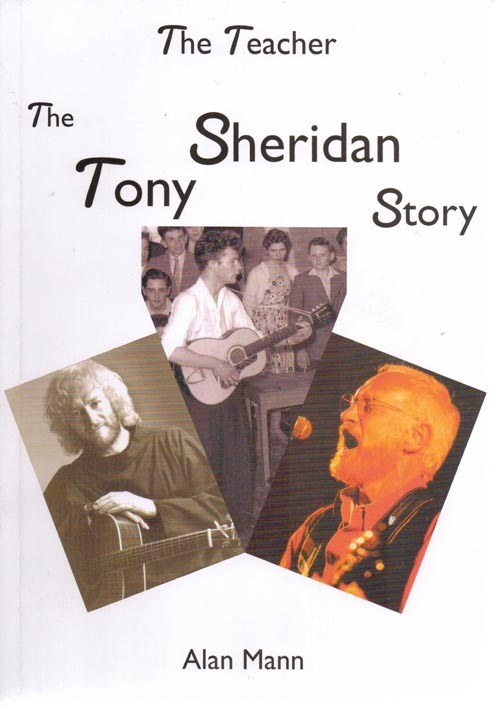 A more obscure, and more affordable, Tony Sheridan book that few people, or even few Beatles fans, have read. Genesis naturally has some Rolling Stones titles too. 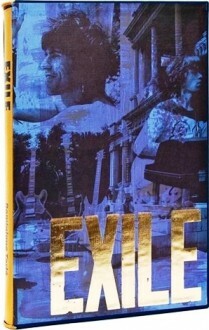 The one I’d be most eager to read is the 2001 production Exile, featuring Dominque Tarlé’s photos of the Stones while they were recording Exile on Main Street in the south of France in summer 1971. More crucially, the 248-page book has 90,000 words, making it more of a “real book” for those of us who want books to read and not just to look at. My guess is it’s better than the non-limited-edition, non-photo-oriented books on Exile on Main Street (of which there are at least three). That’s just a guess, since this 1740-copy limited edition sold out long ago, and it’s going for about $2000 if you can hunt down a copy for sale. Which means I won’t be reading it, unless that fat government research grant comes through soon. A real interesting-looking Stones book that will be coming out on Genesis soon (and it might already be out—it’s hard to tell from the website) is Ronnie Wood’s How Can It Be? A Rock & Roll Diary. In a way, it’s not even a Stones book, since it’s based around the diary he kept in 1965, when he was lead guitarist in the Birds, the first band with which he released records. There aren’t many such this-is-what-actually-happened documents, and as such it could be a quite valuable relic not only of Wood’s past, but of the London mid-‘60s rock scene of which he was very much part. (Or, if his diary entries were as perfunctory as the ones that have surfaced from the late ‘60s by George Harrison, it could be nearly useless.) Only 1965 (get it?) copies will be printed, though relative to the other items we’ve discussed here, at a “mere” 295 pounds (about $450-500 US), it’ll be a steal—as long as copies last. 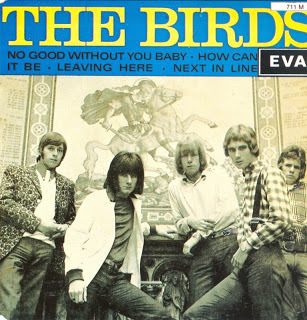 This Birds EP has their recording of “How Can It Be,” the 1965 B-side after which Ronnie Wood’s new book is named. Genesis has a lot of other rock titles that look like they could be neat, like Maximum Who: The Who in the Sixties, or the 95,000-word California Dreaming, based around photos of the ‘60s/’70s L.A. rock scene by Henry Diltz. But before this turns into an unpaid ad for Genesis, it should be emphasized that there are some other book rarities that aren’t so much geared toward the 1% as almost unknown, in part because they’re about near-unknowns. Like Herb Bermann, for instance. Who? Well, he co-wrote eight of the songs on Captain Beefheart’s 1967 debut album Safe As Milk, though not much is known about him. Until the June 2015 publication of the first edition of his book The Mystery Man from the Magic Band, printed in a run of a mere 100 copies. It’s already sold out, though fortunately the two-part interview with him that seems to form the main part of the text is online here. That’s a peril of even finding out of the existence of some of these books—by the time you know they’re out there, they’re gone. Take A Is for Apple, a 686-page job covering Apple Records in just the years 1966-1968, with nearly 3500 (!) images. 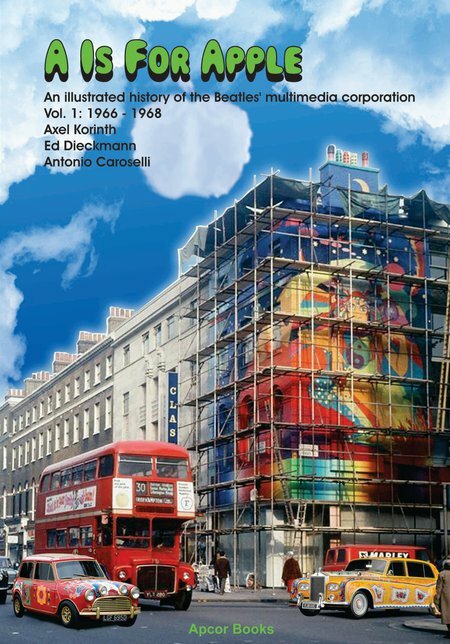 It’s reviewed (and the authors interviewed) in the new Flashback, but has already sold out, though the price was a fairly steep $117 postpaid to the US (according to one online forum). The authors are thinking of making this series even larger than the planned four volumes, but have not announced any plans to reprint volume one, though the interview hints they might make it available digitally. 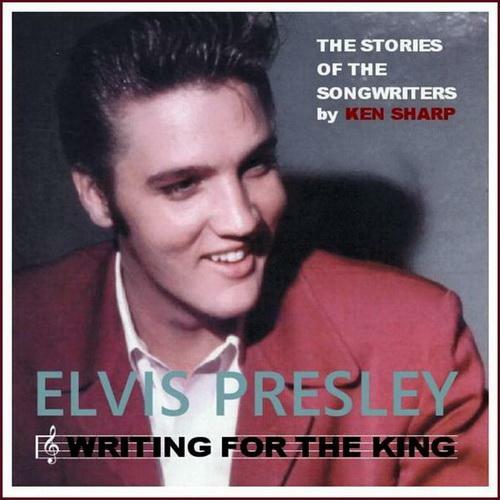 Also gone, or at least not easily findable at a below-three-figure price, is Ken Sharp’s 400-page Elvis Presley: Writing for the King: The Stories of the Songwriters, with interviews with more than 140 people who wrote songs for Elvis (or had their songs covered by him). That’s interesting in and of itself, but as the crown on this King, it came with two CDs of rare material. One features previously unreleased RCA recordings of Presley in concert in Las Vegas from 1969 to 1972; the other, more intriguing one has the demos of songs that he learned, going all the way back to “Heartbreak Hotel” (sung by Glenn Reeves), and sometimes performed by songwriters like Otis Blackwell and Mort Shuman. This didn’t come out all that long ago (2006), but it’s already long out of print and scarce, selling for about $200 if you can find a copy online. Although at least a few scattered copies are out there, and not selling for nearly as much as those Genesis titles by George Martin, Derek Taylor, and others. Will some of these books be made available at an affordable price (or even available again at all, if they’re out of print)? From the selfish perspective of well over 90% of the people who might be interested in reading them, it seems like it would be a great service to do this, whether in reprints, ebooks, or (especially in the case of the Genesis titles) regular “trade” editions on less fancy paper. This happens once in a while; Genesis’s 512-page Jimmy Page By Jimmy Page, for instance, is in “regular” bookstores, and even some libraries, selling for around $45 on a few online outlets. Let It Bleed, photographer Ethan Russell’s valuable coffee table tome about the Rolling Stones’ activities in 1969 (especially their US tour and concert at Altamont), sells in elaborate editions for $650 or $990, but also as a quite reasonable trade edition hardback for $55 (and also as a Kindle ebook for $11.99, if you’re a real cheapskate). The high prices and/or limited runs of books by Genesis, Out-Take Limited, and CMusic might be necessary to make these volumes viable for them to produce in the first place. Genesis and Out-Take Limited invest a lot in elaborately packaging and illustrations, as well as the cooperation and participation of superstars; CMusic puts out titles for very niche audiences. A couple other books discussed in this post are self-published jobs that might similarly take quite a bit of money and time, especially for small operations. It’s quite likely felt that reprinting expensive titles whose very rarity (as limited edition runs) were a selling point would diminish their value to the original purchasers. Nonetheless, doing more affordable and available editions (as Genesis will for Ringo Starr’s Photograph in September) seems like a strategy whose time has come, given the certainty of readers who want the content. In the meantime, should any readers of this blog want to offer more details about some of the titles I’ve described in this post, please submit comments. 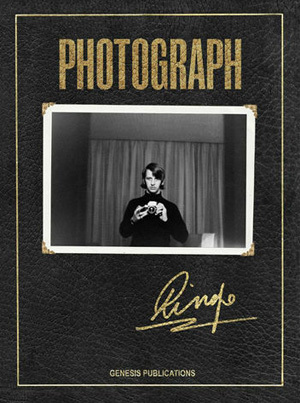 Richie, Amazon shows that a new hardback version of Ringo’s Photograph book is being published in September, with a list price of $50. Amazon prices it at $34. Thanks for letting me know, Mike. I’ve adjusted the post to make note of this, and will be reading the book in full after it comes out in September. It’s certainly readable even though it’s dominated by Cooper’s photographs of course. I haven’t read “Blinds and Shutters,” which is no longer available; used copies are beyond my budget (one’s selling for $2000 online at the moment). I have read the easily affordable, conventional-edition book “The Early Stones: Legendary Photographs of a Band in the Making 1963-1973, photos by Michael Cooper” (Hyperion, 1992). Cooper is best known in Rolling Stones lore for taking the photo on the cover of their 1967 album Their Satanic Majesties Request (though he’s yet more famous for taking the photo for the cover of the Beatles’ Sgt. Pepper), and photographed the Stones often between the mid-1960s and early 1970s. This book collects a lot of those pictures, but is also notable for many quotes, about the photos and the band’s career, from Keith Richards, Anita Pallenberg, and Marianne Faithfull. Hi Richie, Thanks for all the kinds words over the years about my books. You are right, self-publishing is difficult, especially when I’m here (Australia) and my market is o/seas. More recent postal prices brought my efforts to a standstill and I have since stopped printing books and instead have reverted to, reluctantly, the E-books format. 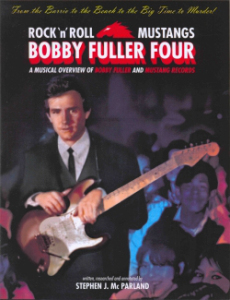 Nearly all of my books are now downloadable at very reasonable prices (including FREE) from https://payhip.com/CmusicBooks. Wow! so many new ones in that list for me. I would love a chance to read some of those this year. Thanks so much for sharing. I think you would really appreciate and enjoy a recent memoir from Larry J. Dunlap. 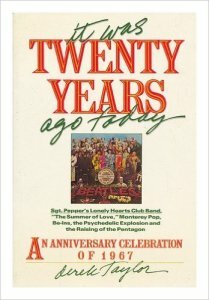 Night People (http://larryjdunlap.com) is an absolutely fascinating insight into life on the road for a rock band in the 1960’s. It’s also a great read for those with a social and political interest in those times. I can’t recommend this one highly enough. A very interesting and thoroughly entertaining read from cover to cover. Paul, thank you so much for your kind words about Night People. I’ve been so pleased with how the book has been received. At first I wondered how people would respond to a book about a group that almost ‘made it.’ I’d hoped that people would realize that it actually makes a better book, though I know all of us in Stark Naked and the Car Thieves wanted to reach that final step. However in the long run, the story is a very human story about young men from the Midwest trying to maintain their equilibrium in a time of change. I think it makes it easier to relate to. This is the first of two books about this band, watch for the second one, ENCHANTED, that concludes the adventure, on Amazon in 2016. Best wishes to all.